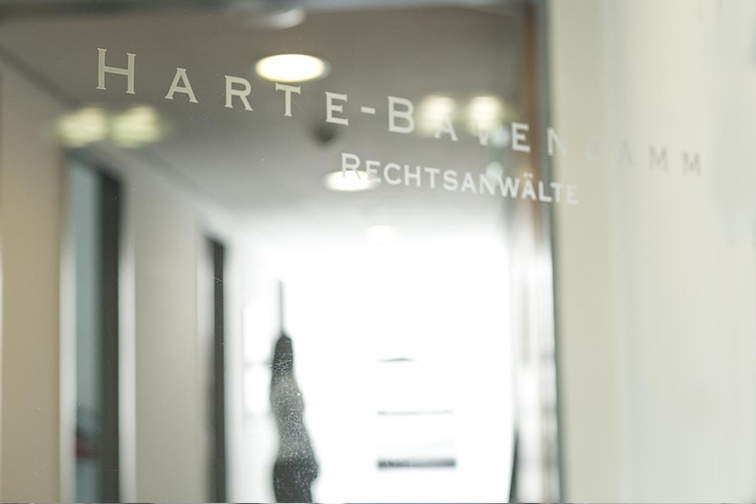 HARTE-BAVENDAMM Rechtsanwälte, founded in 2008, is a law firm specializing in intellectual property and unfair competition law. We advise our clients from the development of their business concepts to the realization and marketing of their products. We provide strategic advice in all areas of unfair competition and copyright law and concerning the creation, acquisition and protection of intellectual property as well as in connection with research and development, license and distribution agreements. We try and detect possible conflicting intellectual property interests at an early stage in order to minimize risks for our clients. Whenever necessary, we enforce our clients’ interests through litigation. An equally important facet of our work is the consensual resolution of disputes out of court as well as the enforcement and defence of rights in arbitration and mediation proceedings. We focus on our clients’ commercial objectives. We are convinced that, especially in our area of work, a flexible, specialized team suits our clients best by giving individual advice based upon a thorough understanding of our clients’ priorities. We develop tailored solutions of the highest legal quality that distinguish themselves by their practical efficiency. In supporting transactions we can draw from the expertise we gathered during our years of work with leading international law firms. As authors of academic publications in the field of intellectual property, unfair competition and IT law and as lecturers and conference speakers, we actively participate in the legal developments on the national and the European level.